I definitely enjoyed being and living with 13 inspiring young leaders from different countries. Just being with them in the kitchen was already a learning experience for me. Coming from a tropical country, the Philippines, was a big difference in so many things like from normal 30 degree Celsius to 0 to -45 degree Celsius; from rice to salad; from thinking a lot of things for my work to reflecting and gaining more knowledge through my mentor from McGill, Dr Lynn Butler-Kisber, and other activities inside the house; from having homogenous friends to multi-cultural bunch of people. I have so many “first times” in the Sauvé Program during summer like glamping, rock climbing, and smores; during winter like snow, dogsledding, and cross-country skiing. I also experienced Thanks Giving for the first time with the Sniderman’s (Andrew Stobo Family), as well as Christmas and New Year. The program gave me a wider perspective about First Nations and was I was even given an opportunity to work with them. I also enjoyed meeting a lot of influential people through the Tea Talks; going to different symposia; and our trip to Parliament. I even partnered with St. George’s School of Montreal. Lastly, I will never forget talking and sharing my project to 5,000 people in the Leaving Your Legacy Conference with David Suzuki and Craig Kielburger. A lot of experience and things that I did not imagine would happen, but did. But of course it was not all a walk in the park. There were also times that I felt the difficulties and challenges most especially I was physically away from my family. It was a test of my character as well when I was doing my project. I realized that I have to be more organized and efficient to achieve what I promised to achieve. I realized I need help and support of others to do it. The experience widened my perspective in different facets of my life. To sum it all, the best one word I gained in the Sauve House is OPPORTUNITY. It gave me an OPPORTUNITY to reflect on who I am, what are the gifts I have, and how best to use them in a professional capacity to find success and happiness in our post-Sauvé life. A huge impact I would say. This experience gave way to my personal and professional transformation. Personal Transformation: Being almost one year in the Sauvé House gave me an opportunity to widen my world. Being with 13 other young leaders in the house coming from 9 countries gave me a wider perspective about life and the condition of the people around the world without literally going there. This also led me to widen my friends and still be in contact with them through social media. This also gave me an opportunity to know more about the Filipinos in Montreal City. 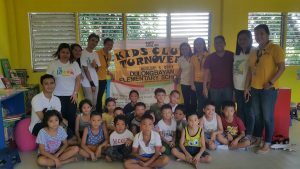 I was able to work with them as a volunteer teaching Filipino Values and Culture, and befriended them at the same time. 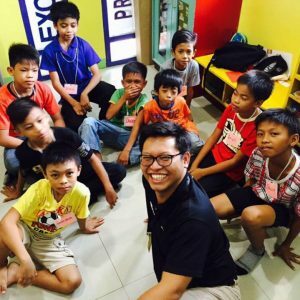 I learned the struggle of Filipino youth and adult living in a place they are not familiar with. I also led a church group in Montreal City where we were able to evangelize young professionals to deepen their faith. My life in Sauvé House also widened my perspective of who I am and what I can do. It taught me to be more independent while still being collaborative. I realized, during my stay, that even though I had a plan, it wouldn’t flourish and come into existence without the engagement of other people. My experience taught me the power of community and how it can make my vision and aspiration a reality. My whole journey gave me time to think and reflect on why I am doing this and for whom. I saw my family’s sacrifices which allowed me to participate in this program even though I knew that I would not be physically present during my wife’s delivery of our first child. I realized that stepping back from my mission does not mean abandoning it but rather looking at the bigger picture. My 9 months at Sauvé fuelled my energy to dream with the people in my country and to make a difference. Professional Transformation: The very first thing that came to my mind with regards to professional impact is TIME – INTEGRITY. This was one of the values Ion (our Executive Director) consistently reminded us of. Being on time is 15 minutes before the agreed time. It made an impact to me whenever I attend a meeting or even a simple event. The 3-minute speech gave me a platform and frameworks to give a powerful presentation to the people you are speaking with by catching their attention and moving them towards your vision. The power of storytelling definitely made a mark to my life. Due to the numerous Tea Talks and meetings we had with people from different walks of life, I learned 3Ps: Prepare, Prepare, and Prepare. Now, it’s automatic for me to research on the person I will be meeting with. 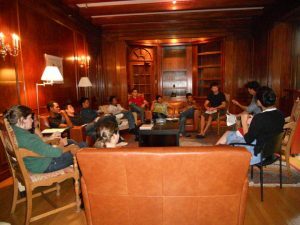 The Sauvé Program trained me to respect our guests not just by accommodating them but preparing relevant questions. 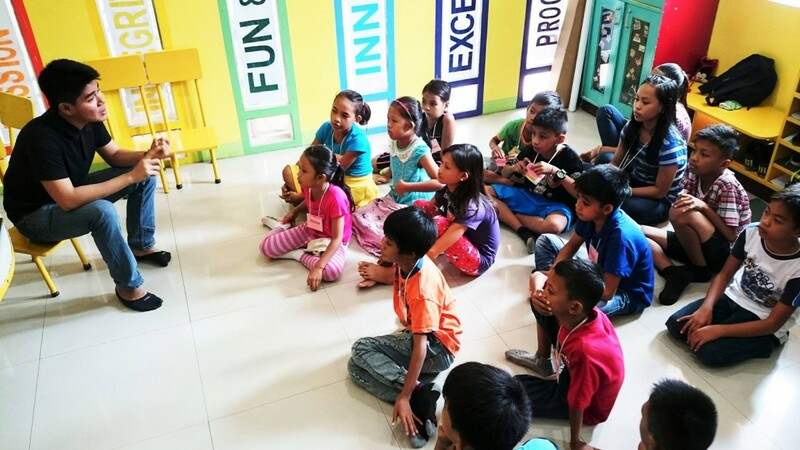 I started Silid Aralan, Inc. in 2007 with the aim of empowering low-performing learners in public schools. It started in just one community, in Rodriguez, Rizal but now we have a total of 12 Ground Zero learning hubs and 1 iLead Learning Hub. I am in-charge of the organization as the Chief Motivation Officer. we were able to go beyond this with the help of the United Nations Development Program, we were able to share our knowledge in Indonesia where the iLEAD program will be implemented by a partner organization with a mission to also equip the youth to be independent to create change in their own communities. Aside from taking charge of Silid Aralan, Inc., the Department of Education hired me as a consultant to help develop the business process of the organization by identifying their needs and by coaching its supervisors to initiate and initialize the change in system. What are some projects you are working on now with Silid Aralan? In Silid Aralan, we are currently working on and continuously developing Ground Zero, iLead and LEAP projects. GROUND ZERO is the entry-level program of Silid Aralan, Inc. The original program started in 2008 and focused on academic improvement of primary-aged low-performing public school students. Since 2008, it has developed into a 3-year program beginning with grade two public school students identified as non-readers by their teachers. Learners engage in fun and interactive sessions with the aim of developing their love for learning as they begin to learn to take in new information, collaborate, read, present, and develop confidence in themselves. Our learning sessions are customized to each learner’s learning style assisting him or her to acquire the required competencies to move on to the second level of Silid Aralan’s Learning Program, iLead. The learners who benefit from our program are specifically the non-readers of the school. Those students from grade 1 and 2 who can’t read and the considered poorest of the poorest identified by the school are qualified as beneficiaries of the program. SAI, in partnership with the Department of Education, choose the students at the bottom based on their academic standing. Our sessions last for 2 hours with a maximum of 25 learners per session. All learners attend the session twice a week, one on a weekday and on a weekend. ILEAD stands for Inquire, Lead, Empower, Act, and Develop. This program is attended by the learners who have finished the ground zero program of Silid Aralan. The goal of iLead is to develop their awareness of societal problems and learn about different solutions that can solve these. This program also helps them to advance their leadership skills and apply it in their chosen settings. Our curriculum includes Rights of the Child, Leadership Characteristics, World Leaders, etc. All are in accordance with the objective to empower them to be the leaders and listeners of the future generation. The end output of this program is to develop innovative solutions to the problems identified by the learners. LEAP stands for Learning Enrichment Action Plan. This is an extension program of Silid Aralan, Inc. that will reinforce our learners’ chosen path towards the fulfillment of their personal goals. We consider our learners’ interests and passions in looking for partner professionals who will coach learners and develop personalized internship plans. This will help our learners to explore more opportunities outside their own communities for they are guided by experts in different fields. SAI partners with Public School, Parent Teachers Associations, Local Government Unit, Universities, and Local business through signing a Memorandum of Agreement that will ensure the 3 Levels of Sustainability. The first year, SAI sets up the center, mobilizes and organizes the community, and trains the volunteer-facilitators. Then, the following year, the community runs the SAI Center through our partnership with local universities, local business groups, local government unit and the school itself. In evaluating the overall quality of its program, SAI internally rates success by tracking the improvements on the quantitative performance indicators: 1) school grades, 2) attendance, 3) tardiness, and 4) SAI Learners Competency Evaluation Form, which University partners implement to determine the competencies of each learner after each term of operations. The competencies of learners that we aim to develop are Critical Thinking and Doing, Innovation, Collaboration, Global and Cultural Awareness, ICT Literacy, and Life Long Learning. To manage this data, SAI maintains a Management Information System (MIS) that manages student applications, test results, grades, weekly progress reports, and highly detailed 360-degree scholar survey evaluation. This can also be viewed on the SAI website www.silidaralan.org, which was also done by a SAI learner. Each April, annual results are released to document SAI’s impact over the past year. I hope that Silid Aralan will be a driving force to transform education not just in the Philippines but across the world. I hope to expand our reach of educating and empowering kids. This year we expanded Silid Aralan into Indonesia. This gave us a gateway to share our mission and vision to our neighbouring countries. With this development, I am optimistic that Silid Aralan will be a vehicle of hope not just in Asia but across other continents in the next 10 years.